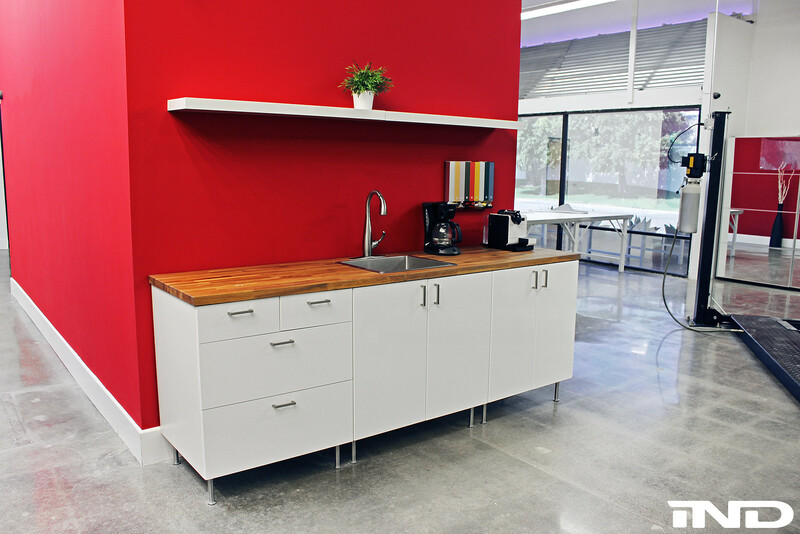 The journey thus far- a photo galley of IND’s Portfolio Projects. 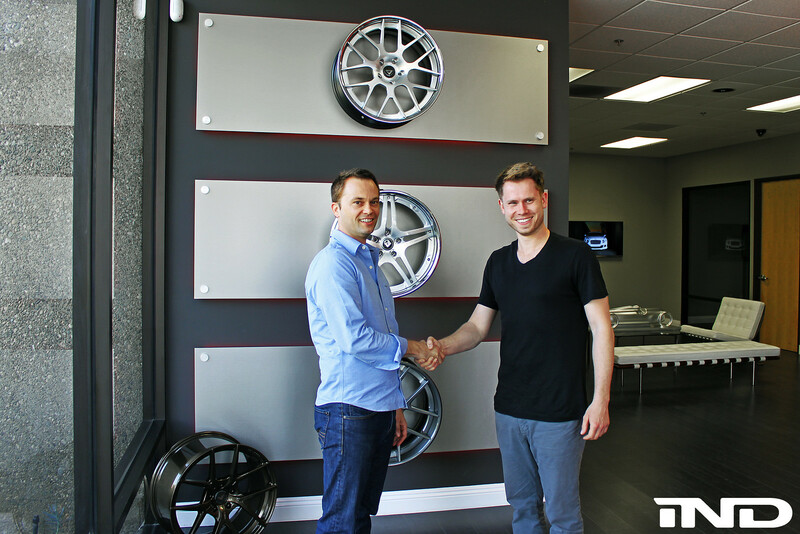 We put custom CH-R's while we wait for the new wheels from Germany. 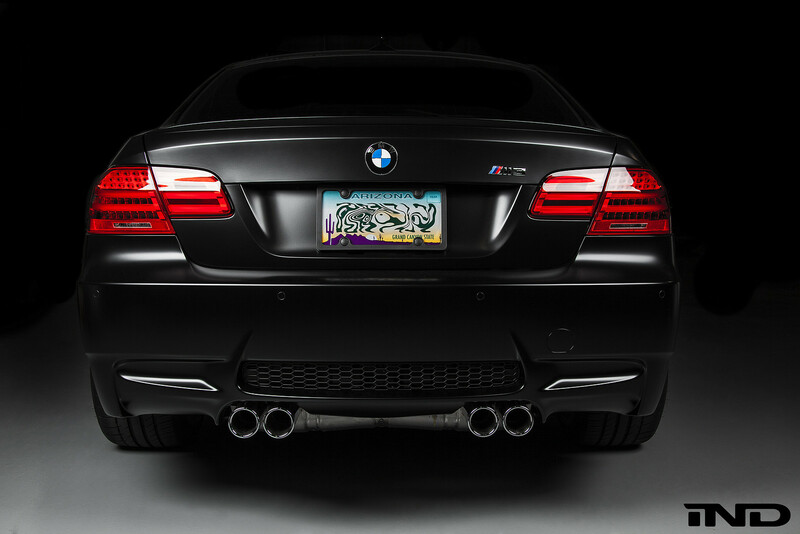 See the Alpha sticker on it now from AMS... have you released HP numbers on this monster? the M5 is looking good! Most of the hardware is complete by AMS now. 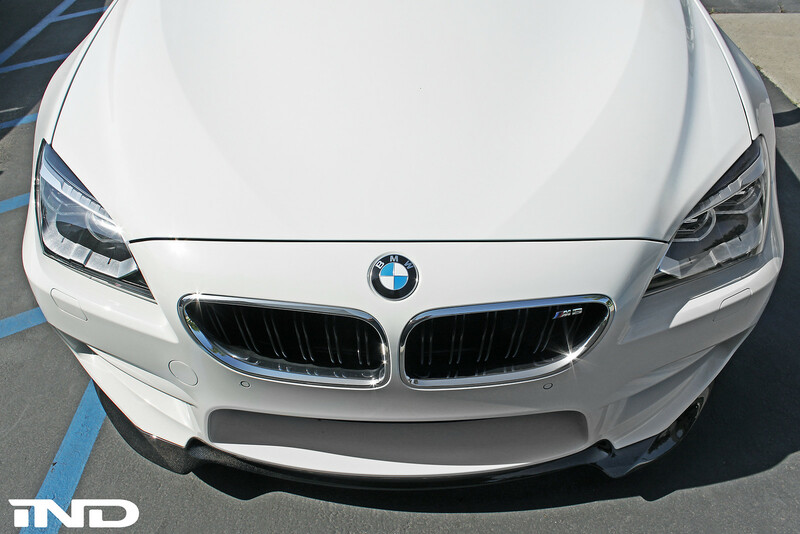 The M5 will be making a trip to ESS next after bimmerfest. uhh...clue us in for those of us not in the know....who's "Ilia"? Ask any racing driver or sports car enthusiast what “Green Hell” means to them, and they will say nearly the same thing- Green Hell is the nickname of undoubtedly the most terrifying, the most challenging, and the most lethal race course on the planet- the Nurburgring. Most people who are not fans of motorsport simply do not understand. What is the purpose of a place like this? What a terrible waste of life and resources, to build a race track that takes more human life in one year than any other track in the world. The Green Hell has of course more than once been a subject of international controversy. But to me, the Nurburgring is much more than just a track. The Nurburgring represents the human drive to push the envelope. The drive to be faster, better, smarter than those that came before you, even at the cost of your own life. This desire, this attraction to risk, this primal drive to push the limits of what’s possible is what makes the Green Hell so irresistible. So to me, the Green Hell is not just a 14-plus mile strip of concrete in the mountains of western Germany, it is a direct representation of the human condition, the human struggle- our daily fight to make each move, each inch count. I knew all of this well before I ever went to the ‘Ring, but nothing could prepare me for actually driving the track. Navigating the same hair raising corners as greats like Stefan Bellof, Jackie Stewart, and Hans Stuck really drove home to me just how impossible the track was to master- even with me driving at what I felt was a personal five tenths, well below even my own lowly limit. Feeling the elevation changes, seeing the blind corners, seeing how truly close the Armco barriers were to the track surface made it clear to me that the men and women who had challenged the Green Hell were truly heroes. Exiting the track, I knew my perspective was forever changed. I knew I would never be the same from that day forward. IND’s Green Hell project was conceived almost immediately after our return from Germany. With the amazing Nurburgring still fresh in my memory, I felt truly inspired. When our long-time client Sam told us of his desire to push the limit of his E92 M3 at the track, I knew we’d found the perfect co-conspirator for our plan. Many people in the US have installed Supercharger or stroker kits on their new M3s, but few have any plans to push the car’s limits at the racetrack. This is what sets Sam apart from many people spending tens of thousands on their M3s, and this, I knew, would be the winning ingredient to our Green Hell project. 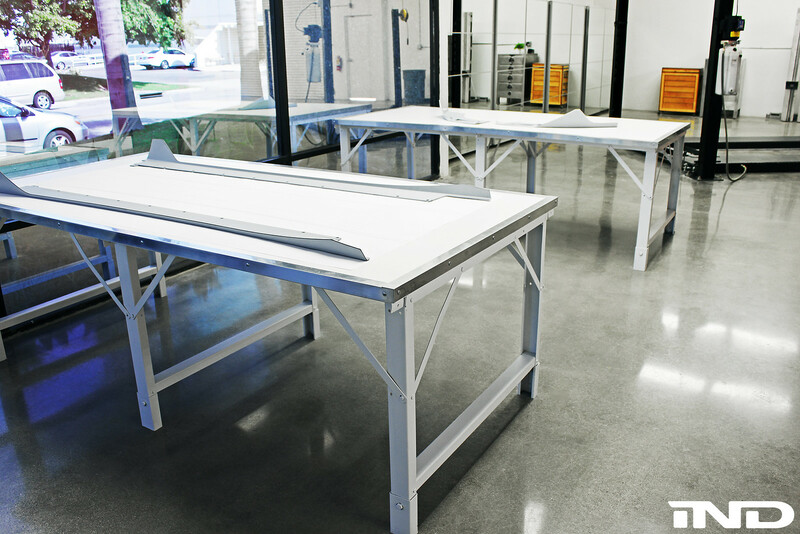 As will all IND Portfolio projects, the most important factor to a successful and memorable project car is the owner. So with this idea of exploring the limits of performance of the E92 M3, we had a starting point. 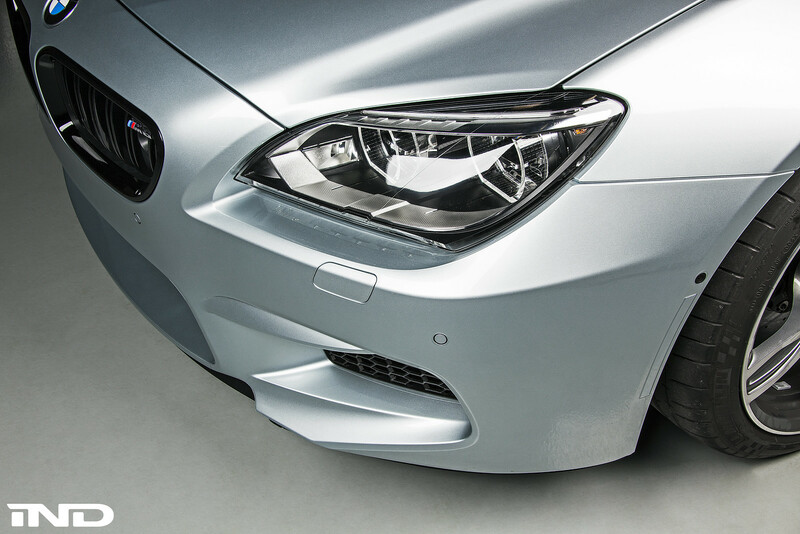 Combining comfortable street driving with fearsome track performance and bulletproof reliability is an extremely delicate balancing act, so it was important to choose our plan for engine enhancement carefully. 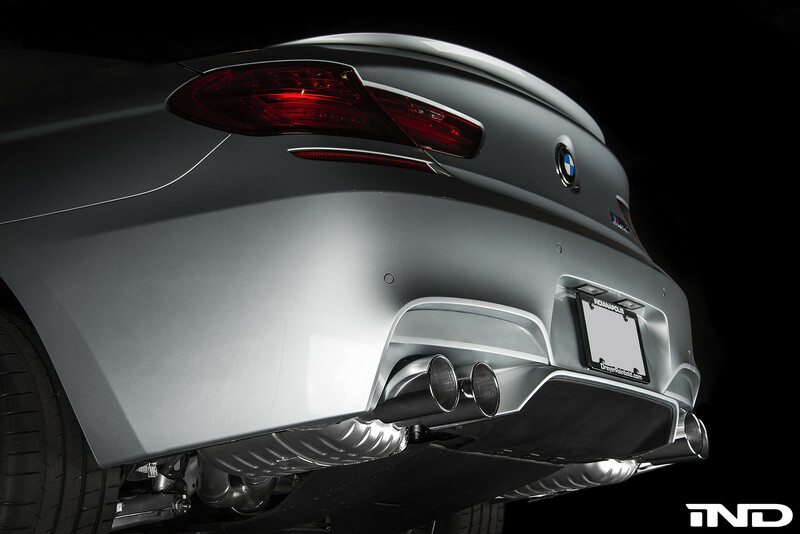 There are many extremely attractive options for the E9x M3 that will produce big power, but among the field of stroker motors and supercharger kits, one option truly stood out for it’s proven on track performance, “push-the-envelope” power, and bulletproof reliability. After weeks of long conversations, ESS’ VT2-600 supercharger kit proved to be the clear choice. The ESS kit offered power levels that were bordering terrifying, several years of on-track testing by the amazing GS Bilder race car, and the tuning pedigree earned by ESS’ 20 years of tuning BMW cars. 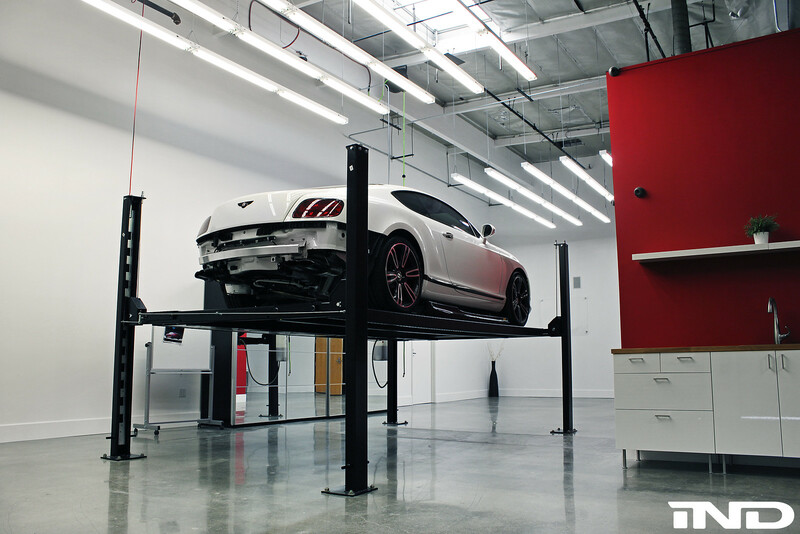 This supercharger kit became the heart of the build, and the focal point of the project. 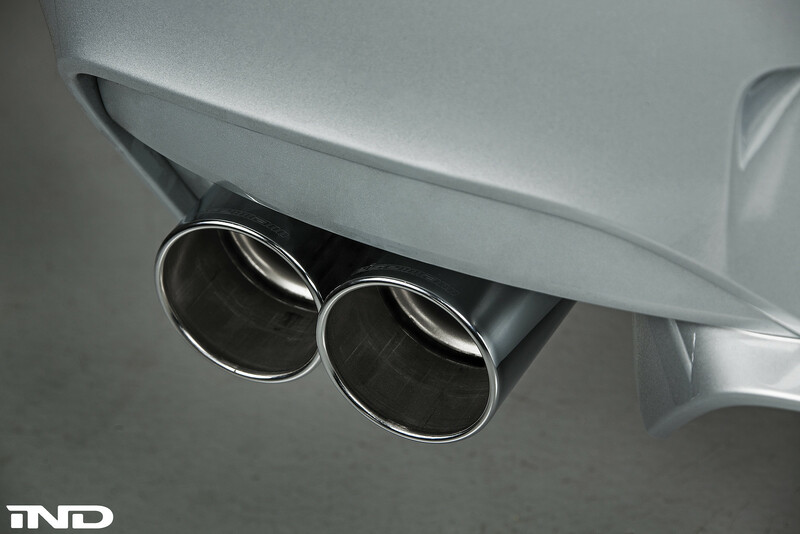 For IND, pushing the envelope does not mean addressing performance alone- the car also has to be visually striking. IND as a company has constructed many E92 M3s prior to Green Hell, so we knew we had to do some truly unique work on this car. To pay homage to the Nurburgring, and to keep with this car’s motorsports theme, we chose to use Porsche RS Green to highlight the key elements of the car. From the vibrant RS Green ESS intake manifold, to the RS Green Brembo brake calipers directly from Brembo, to smaller details like our own green sidemarker and pinstripe, we knew the color scheme of the car would challenge people’s perceptions of what’s possible on an E92 M3. Even the Rogue Engineering adjustable toe arms were finished in green to match the car’s overall theme. The car received a total makeover in its performance as well, with every aspect addressed by some of the biggest names in the business. Rogue Engineering provided their fantastically precise short shifter and toe adjustment arms. 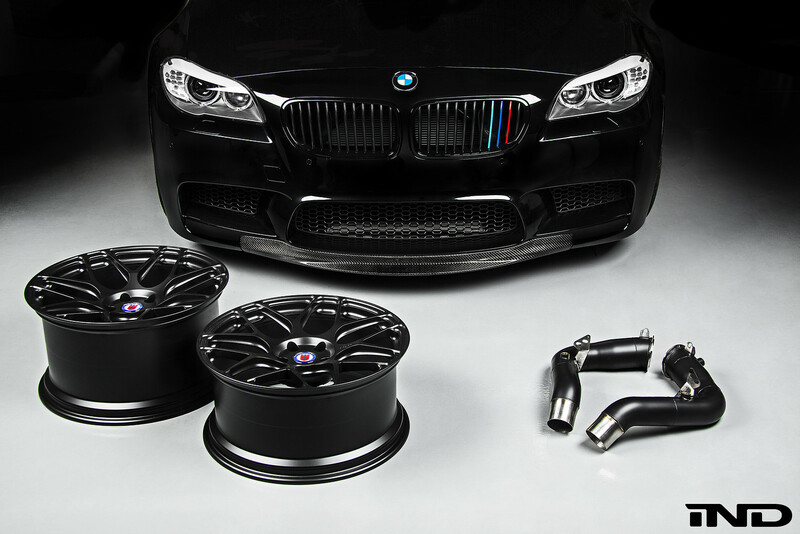 Brembo’s track proven 365mm big brake kit and KW’s ClubSport coilovers ensure that the 600hp produced by the ESS Supercharger kit are precisely controlled. The new higher speeds the car will encounter on straights of famous Midwest racetracks like Autobahn and Road America will command a change in pad choice as well, to allow for a higher operating temperature. 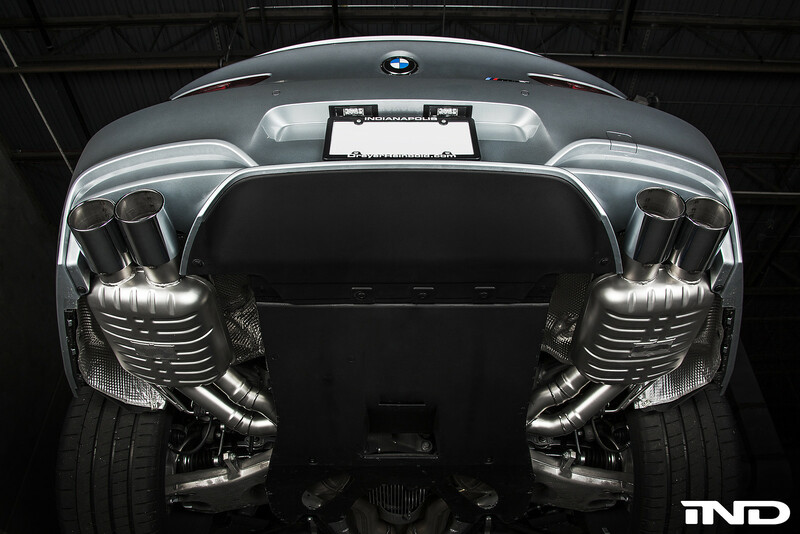 To evacuate exhaust gasses efficiently, and provide an intoxicating exhaust note, Eisenmann sent us their prized possession- the one and only Inconel exhaust system for the E92 M3. 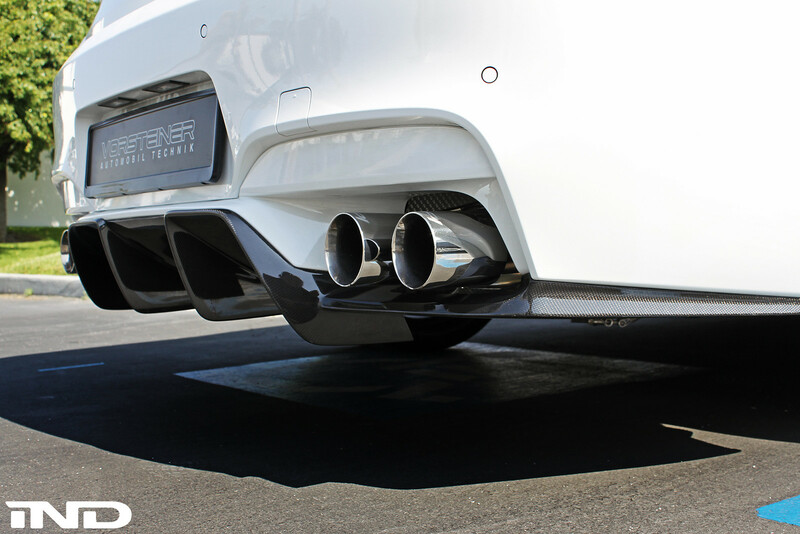 Not only is this Inconel muffler the only one in existence for the M3, it is the only single system of this kind Eisenmann plans to make, making it truly one of a kind. 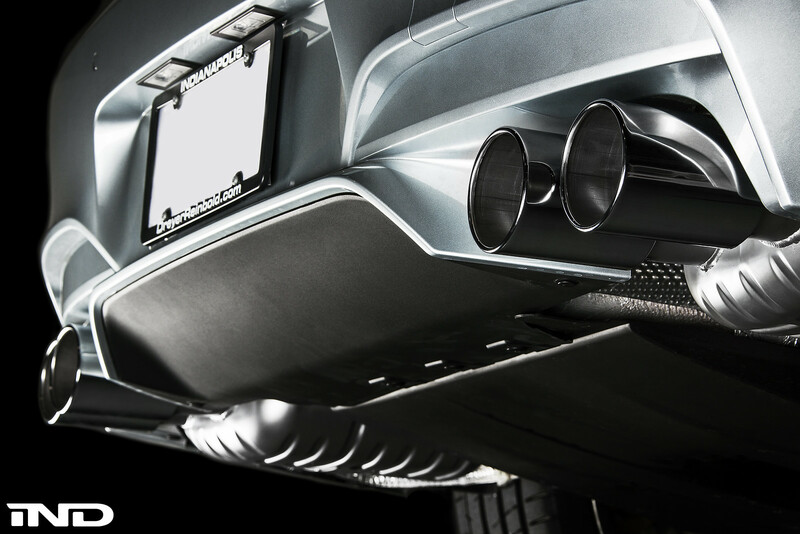 Together with the Challenge X pipe, this car creates a truly menacing sound as soon as it starts up. The low rumble at idle transforms into a true roar as the ESS Supercharger builds it’s full 6.5 psi of boost, and the engine soars to redline. HRE Monobloc track wheels in 18x9.5 front and 18x10 rear in a custom gloss black finish are used, together with 275/285 Nitto NT05 tires for balanced handling. 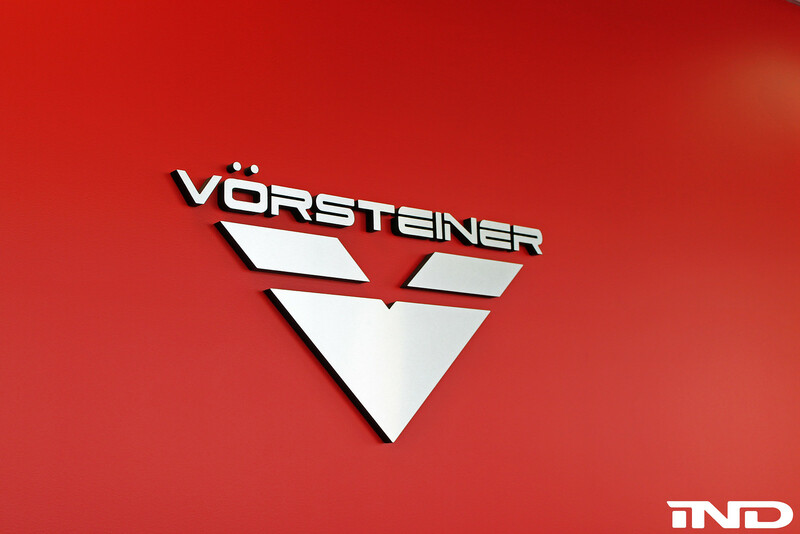 A full Vorsteiner exterior component line is also installed, with gloss black highlights on the GTS3 bumper’s front lip, and the type 2 diffuser. Together with the custom gloss black interior trim, the gloss black color tames the green highlights to create a finished appearance. Although testing the car on the street is only a small indication of how visceral, how intense the on-track experience will be, I can see that ESS has truly created a monster with their supercharger kit. Achieving 100mph is just an instant that is quickly glossed over as the car claws for speeds deeper into the triple digits. It is nearly impossible to focus on such low speeds when the speedometer is climbing rapidly past 150, 160, 170mph. The scenery goes from speeding by to simply blurring around you. Your focus is on the road ahead of you only. Your eyes stop blinking. Life suddenly turns from a complex experience filled with paperwork, phone calls, emails, to a very simple thing indeed- focus. Clear, razor sharp focus. Even the small amount of driving we were able to do during this Chicago winter, I can tell that the Brembo brakes have quite a task ahead of them this upcoming race season, and that this car will now accomplish the exact goal we set- pushing the limits of what’s possible, both for us and for our client. The opportunity to challenge, to force an individual to break new boundaries- this is the ultimate privilege. This Tuesday a friend of mine asked me if we were interested in bringing Green Hell to the famous Autobahn Country Club for a private test day, I found I was unable to say no. The chance to shake down the car for the first time since it was supercharged in a private, closed environment was just too tempting to resist! Many questions were going through my head as we got in the car to drive to Autobahn Country Club- how difficult will it be to put down the 600 some horsepower provided by the ESS Supercharger kit? Will the car stay cool with the newfound power? Even without these questions, the alignment was still brand new, the Hawk DTC-60 pads housed in Brembo’s GT kit completely untested in a track environment, and we knew that much of the car’s behavior would be completely different. Arriving at Autobahn, we soon realized we were in for much more than we anticipated. The paddock was full of absolutely fearesome cars like Ryan Gates’ Nitto Tire and AMS sponsored Evo X, the Cobb Tuning R35 GTR, and many other creations from top name tuners across the US. Luckily, Friday was still considered a “members only” day, and we were one of only about 5 cars actually running on the track. As we began to put the M3 through it’s paces on Autobah’s south course, we immediately developed an immense confidence in the ability of the hardware at our disposal. The limit of the M3 was so staggeringly high. The engine, even with the ESS Supercharger kit installed never wavered in it’s ability to stay cool, lap after lap after lap. 20 minute sessions were flying by with literally no increase in coolant temperature or loss of braking power. Even the NT05 tires felt absolutely fantastic throughout the day, as they fought the car’s 600 horsepower for control. The car felt so fantastic on Friday that even though we had only intended to have a relaxing Friday afternoon track session at Autobahn, it was absolutely clear that with a car that worked this well, the Redline Time Attack event simply could not be missed! At about 6pm, we called back to the shop, ordered some fresh engine oil and brake fluid, and got ready to spend a couple of hours prepping the car. Thanks to our friend Greg at GT Motoring, we were even able to make the car look the part by adding some vinyl to represent the car’s sponsors! Passing tech at the event was an exercise in creativity- the car’s undertray was 1” too low for Street class, and because we had signed up so late on Saturday morning, raising the car was not an option as we could not realign the car, and removing the undertray was also impossible, as that would seriously hinder the car’s cooling ability. We chose to place the car into the only class that would take it- the Drift class! This class has the same rules as the Street class, except there is no height requirement. We were finally on our way. In all, the Time Attack weekend was a great time. Autobahn was a truly beautiful facility as always, the car ran flawlessly, and we spent quality time at the track with many of our close friends. The car also clocked a great time- a second off from the other car in Drift class- another supercharged M3! Thanks to the staff at Autobahn, Brembo, ESS Tuning, KW, Sparco, Challenge and Eisenmann for all of their help in making this car an absolute blast to drive at the track! 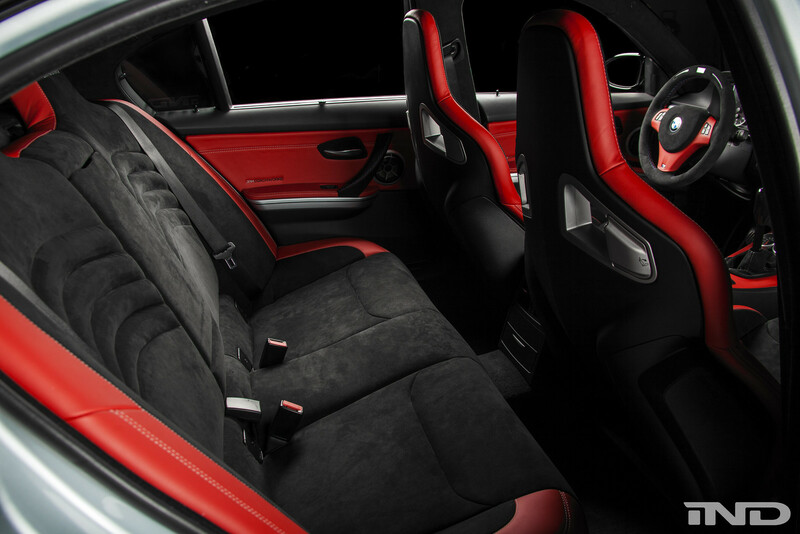 do you have any more pics of the interior with the rollbar? im assuming this is an autopower cage? thanks! 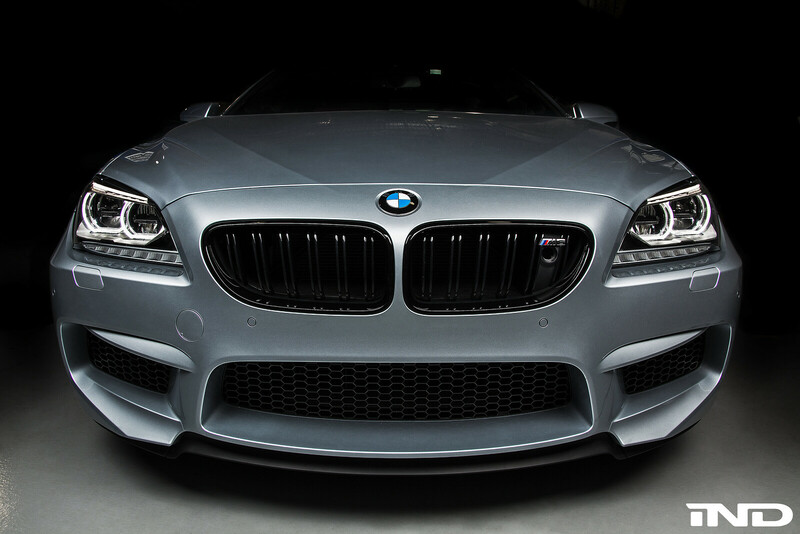 This F13 M6 arrived at our facility with a perfect list of factory options. 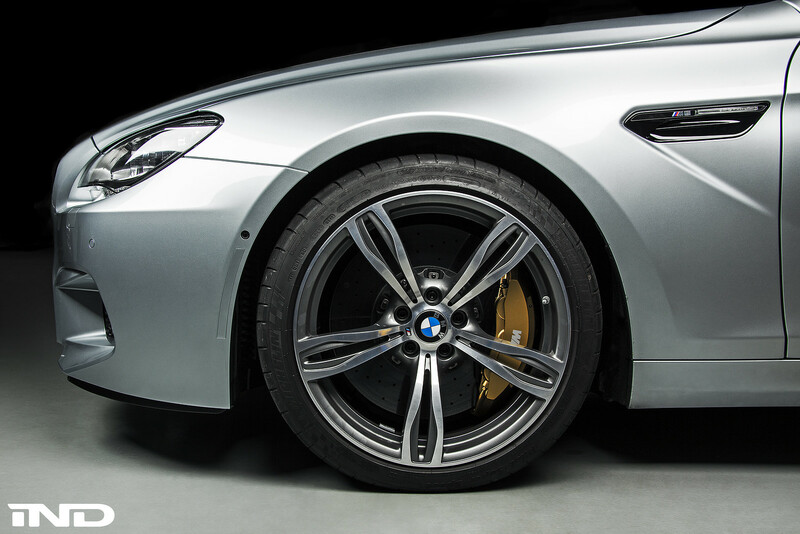 The Silverstone paint finish is a perfect compliment to the discreet supercar persona of the M6, and optional additions like BMW's amazing carbon ceramic brake rotors hint at this GT car's incredible performance capabilities. 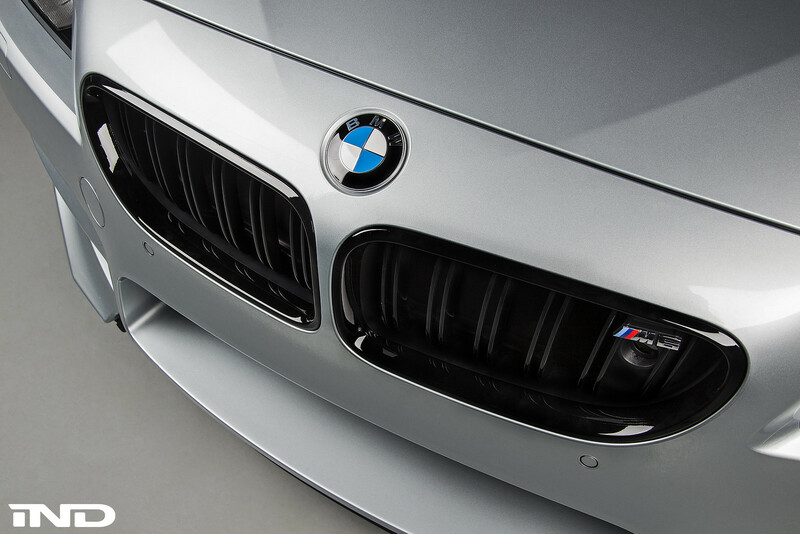 The brake caliper color works perfectly well against the Silverstone paint, and gives the car an extremely elegant feel right from BMW. 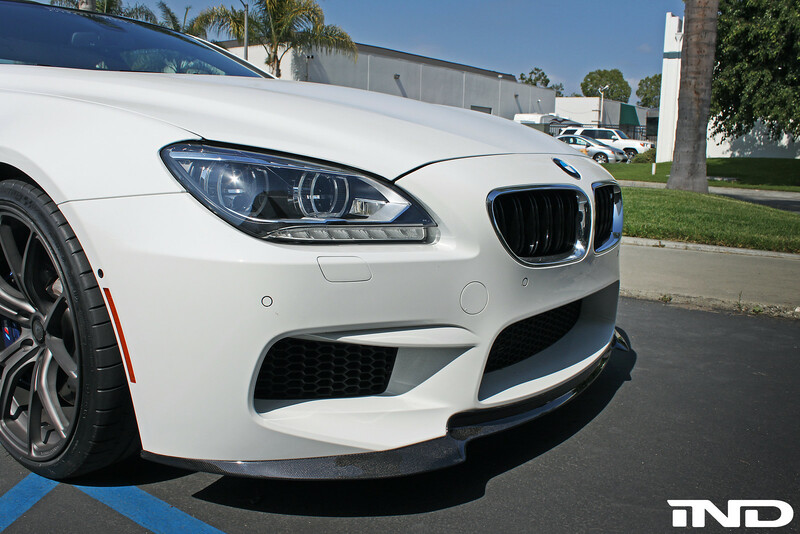 In spite of the excellent choices made when this M6 beast was ordered, any car enthusiast understands that no car is quite complete when delivered from the factory. 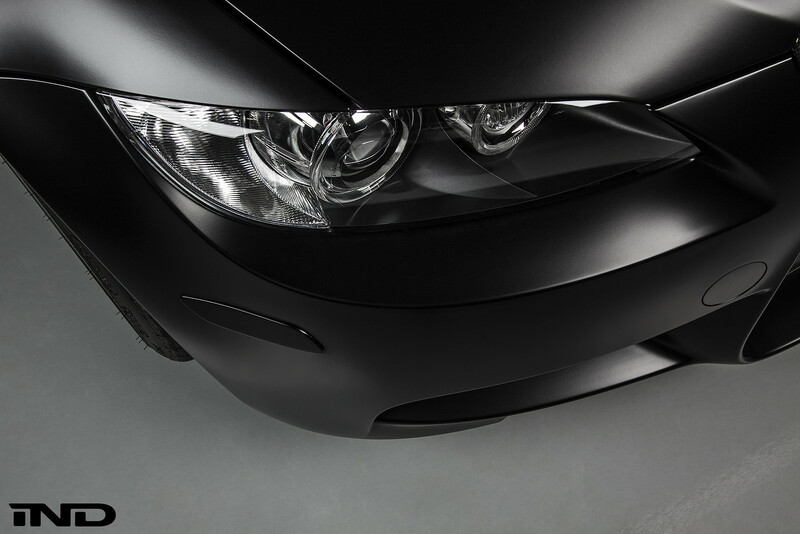 Our client opted to address the details BMW overlooked by changing to gloss black front and side grilles, and adding painted reflectors in the Silverstone color. 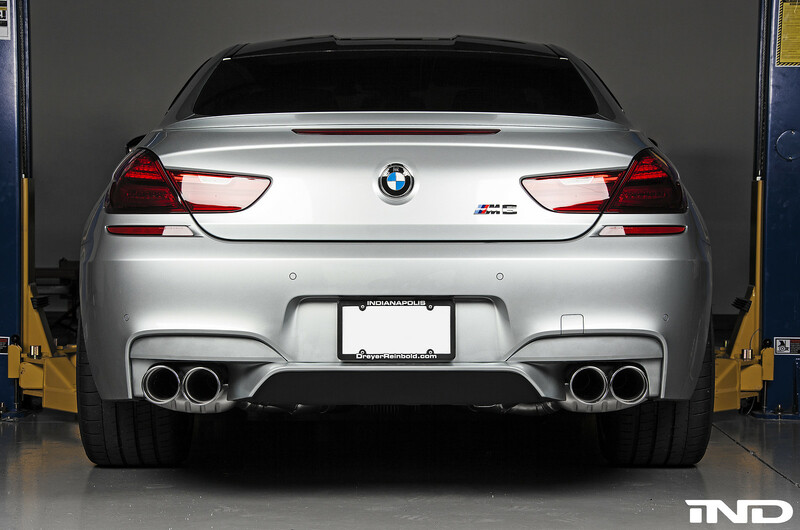 An Eisenmann Race performance rear section was added to give the M6 exhaust the personality and volume it deserves while retaining a quiet and comfortable cruising sound that is critical for any good GT car. 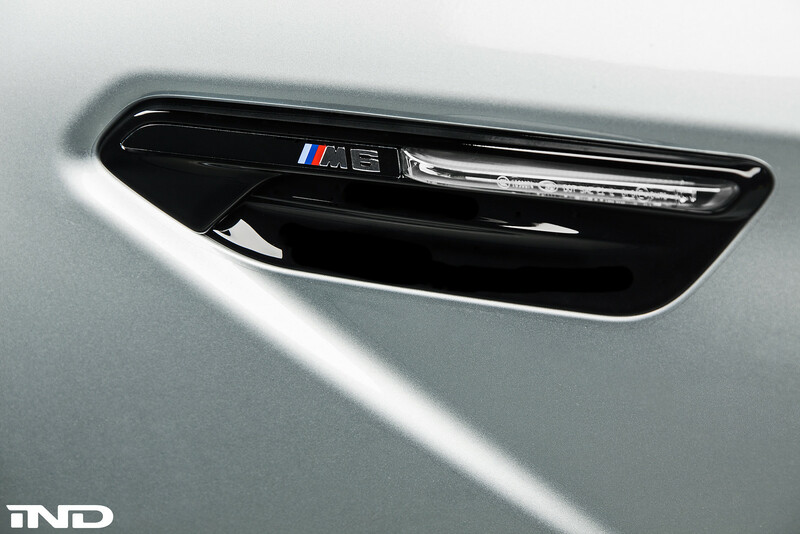 Together, these simple additions perfect what was already an excellent M6. Enjoy the photos! Coming from AZ.... this is going to be fricken HOT! Literally! AMS downpipe install + new HRE P40SC's.